1968-1973 C3 Corvette Rear License Bezel "Driver Quality"
Oral-B's Best Toothbrush Ever. - Maintaining gum health is an important part of a healthy oral care routine. The SmartRing illuminates and pulsations slow, then stop when you brush too hard. The brush handle can also be set to the Sensitive mode. Beetle Door Hinge Cover Stainless Steel in Mirror Polish Come in 4 pcs Fits: All Beetle Self adhesive strips so no drilling required. This is not a compete kit for your car. Every piece in this kit may not be needed. We include extra hardware so that this kit will crossover to multiple vehicles. 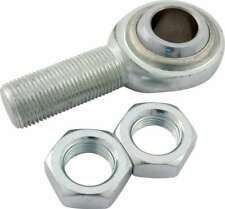 Kit Includes • 4 - Flat Tip Bolt 3/8 x 13/16" with captured washer. BMW fit for BMW 1 Series (E82,E88) 128i 2006 ,2007 ,2008 ,2009 ,2010 ,2011 ,2012. BMW 1 Series (E82,E88) 135i 2006 ,2007 ,2008 ,2009 ,2010 ,2011 ,2012. BMW 1 Series (E82,E88) M Coupe 2011 ,2012. BMW 3 Series (E21,E30,E36,E46,E90,E91,E92,E93) 318i 1991 ,1992 ,1993 ,1994 ,1995 ,1996 ,1997 ,1998 ,1999. ZENITH 32NDIX Carburetor Kit. FOR UNIMOG 404. This Action for JDM TRD Gas Fuel Cap Lid Cover Overlay For SCION FRS FR-S SUBARU BRZ Toyota GT86 If you don't like the factory OE Fuel cap on your Scion FR-S / Toyota GT86 this is the coolest solution around. Made of ABS Plastic materials with 3m double adhesive tape ready to install on existing fuel cap.This cap is the only overlay. Supplied with TRD logo to match the sporty look, perfect for visual look and performance. Sold as pair. Fits: 1965 Chevy Impala Belair Biscayne and Caprice. All Models 2 and 4 Door Hardtop Sedan SS Super Sport and Convertible. 6 Cylinder 283 327 396 409. We have sold Gibbs to Car Dealerships / Policemen / Coast Guard / Government / Industries / Hobbiests / Hot Rod Shops / Gun Enthusiests / Machine shops / Home owners ... just to name a few. 2002 2003 2004 Acura RSX 2dr Taillight Gasket Gaskets Set Exclusive from Madison Motors! Our reproduction RX-8 taillight gasket set consists of two gaskets, one for the driver side light and one for the passenger side light. Made from Automotive Grade Gasket Material, this set will not leak like the factory seals. We use 0.250" thick foam gasket material to create a super, watertight seal. As with all of our gaskets, there is no need for adhesive. Our gaskets are laser cut for a perfect fit and are held in place with factory mounting locations and screws. We keep these in stock and ready to ship out immediately. Place your order before 9am EST on a week day and we'll ship your set of gaskets out the same day!. 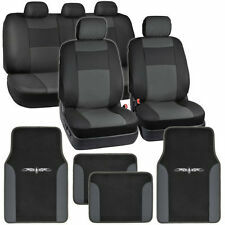 For 1999-2006 Chevy Silverado GMC Sierra. for 2007-2007 Chevy Silverado GMC Sierra Classic. 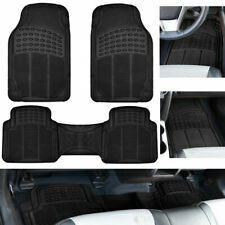 for 2000-2006 Chevy Tahoe GMC Yukon. for 2000-2006 Chevy Surburban. for 2002-2006 Chevy Avalanche. For Right Passenger Side ONLY, Not for Rear Door. Car redio fascia. Item Type: Fascia. Speaker Adapter. Type: Double Din fits both 173 98mm & 178 102mm. for HONDA Civic Hatchback 2006-2011 (Left Wheel Drive). for CADILLAC. for CHEVROLET. for CHRYSLER. New reproduction fuel sending unit fits 1968-69 AMC Javelin and AMX. Stainless steel construction complete with brass float, lock ring, and gasket. NOS Mopar 1964-74 small headlamp retainer ring, part number 2449525. Pn# INL11868-1967-74 GM F/X-body Camaro / Nova / Firebird Clutch Fork Rubber Boot in Bell Housing. Camaro upper clutch rod rubber boot. For use with manual transmissions. Factory Assembly Manual shows boot in UPC 7 C1. "ONE" Axle Tube Vent Breather Rear End Differential 1964-81 GM 3/8" Hole .375"
This Hydramatic external seal kit will cover all of the external gaskets & seals needed to stop the leaks on your Single or Dual Range Hydro. This includes bottom pan, side cover, converter housing, extension housing, front pump, inspection cover gaskets. 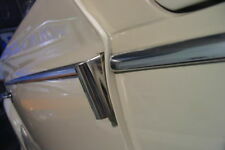 THIS IS FOR A NEW PAIR OF 1955 CHEVROLET V8 UNDER TAIL LIGHT EMBLEMS. FITS ALL MODEL 55 CARS AND NOMADS, WAGONS, 210 BELAIRS, 150. THE MOUNTING CLIP HARDWARE IS INCLUDED. Part Number: 6065 1950's PONTIAC STYLED HOT ROD LED Tail Lights. For the stop, tail, and turn signal function. This lamp is designed for use on any type of car with a flat mounting surface when using the supplied flat gaskets. Willys Fuel Pump Overhaul Kit. Willys MB CJ2A Ford GPW WWII Army Jeep. WILLYS JEEP MB, CJ2A, FORD GPW. This item is a very high quality new modern production fuel pump repair kit. Also correct for the AC fuel pump used on the GMC CCKW. This kit is very complete and high quality. This is a New ignition switch plug connector for 1963, 1964, and 1965 Buick Riviera models. This will also fit 1961, 1962, 1963, 1964, and 1965 Buick LeSabre, Invicta, Wildcat, and Electra 225 models. Every piece in this kit may not be needed. 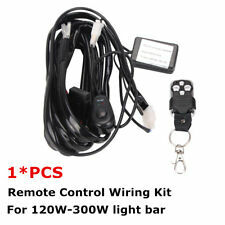 We include extra hardware so that this kit will crossover to multiple vehicles. 4 - Flat Tip Bolt 3/8 x 13/16" with captured washer. 10 - 3/8 bolt with captured washer. Up for sale is a new Drag Link Repair Kit. Any wear will add noticeably to steering looseness or play. Improve your steering with one of our NEW Drag Link Repair Kits! 1950-60 Cadillac - all. Steering Wheel Horn Button for 1967-1969 Camaro Chevelle Malibu and Impala. GM Restoration Parts, a quality item. Also for 1967-1972 Chevelle and El Camino, 67-68 Corvair Will fit many other Chevy vehicles with wood or comfort grip steering wheel. 1950 Pontiac Style Tail Lights - Sold as a pair - Glass lens - Great look for any hot rod / rat rod - Each light is approximately 4-1/2" in diameter, exposed part of the glass is about 3-3/8" in diameter, and mounting studs are about 3-1/2" apart on-center Wiring - 12V - Housing is ground - Red is running lights - Black is brake/turn. AUTHENTIC WINDOW BELTLINE WEATHERSTRIP KIT. CC145A The Authentic-Style Kit includes theINNER & OUTER beltline weatherstrip for. The beltline weatherstrip is at the top of the door. If you roll the window down and rest your arm on the top of the door. 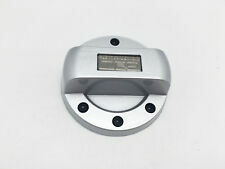 New reproduction rallye dash indicator lenses for 1967-72 A-body vehicles. PG Classic Restoration Parts. Manufacturer PG Classic (China). We reproduce a lot of rare Mopar parts. We use our own tooling and moulds. These unique stripes can be made with a factory style AAR Shield logo and your custom callouts or even with no shield. The Choice is yours. If you are building a "clone," "tribute," or whatever, these are the stripes are for you. 64-72 El Camino Exterior Parts. 64-75 Chevelle & El Co Manuals. 64-72 Chevelle Exterior Parts. 64-72 El Camino Interior Parts. 64-72 El Camino Rubber & Seals. 64-72 Chevelle Interior Parts. 64-72 Chevelle Rubber & Seals. This is a new in the box steering rag joint coupler. This works great for 1958-1964 Chevrolet power steering conversions using a cpp 500 box of a 605 box. NOT THE ENTIRE GAS CAP IS MADE OF STAINLESS STEEL. Chevrolet Standard 1933 6-Cyl. 181 Chevrolet Standard 1934 6-Cyl. 181 Chevrolet Standard 1935 6-Cyl. 207 Chevrolet Standard 1936 6-Cyl. 207Chevrolet Master Deluxe 1935 6-Cyl. SET OF 4 - 4X6 RGB SMD HALO HALOGEN HEADLIGHTS. INCLUDES SUPER WHITE HALOGEN 60/55W H4 BULBS. INCLUDES 4 HEADLIGHTS WITH BULBS (LOW BEAMS AND HIGH BEAMS). HALO RING IS INTENSELY BRIGHT. DOT SAE APPROVED. THIS IS A NEW SET OF 4 1964 CHEVROLET IMPALA, BELAIR, BISCAYNE, STATION WAGONS HEADLIGHT TRIM RING BEZELS. Beam: 30 degree Spot. LED Power:51W. Lens material: PC. DurablePolycarbonate PC Lens : Increased light emissions, scratch and abrasions resistant. 100%Waterproof IP67 : Great water resistance ability under all conditions. Chevy Vega & Monza. Pontiac Astre & Sunbird. Up for sale is a new MOST COMPLETE, Super Front End Rebuild Kit. Included are 2 Upper Inner Shaft Kits complete with bushings. 2 Stabilizer Link Kits. 1 Steering Idler Arm. 2 Tie Rod Adjusting Sleeves. MGC, 1967-69. 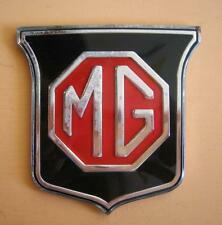 MG ZA, ZB Magnette, 1953-58. MGA, 1955-62. MGB, MGB-GT, 1962-69. MG Midget, 1961-69. But if youdo buy from us, we expect you to likewise be honorable and judge us on how well we fulfill our stated policies. Fits Over Stock Cap Attaches With Two-Sided Tape. 1969-1972 Buick Headlight Bezel Retaining Nuts. We Carry a Comprehensive Line of Buick Parts from 1935-1987. Serving the Buick Hobby Since 1973. Full Set of 8 (enough for 1 car). Special, Skylark, GS, LeSabre, Electra, Centurion, Riviera. 4 JPN Tie Rods Kit for Chevy Silverado 07-13. Chevrolet Silverado 1500 2007-2013. 2x Front Inner Tie Rod Ends - SIT800084. 2x Front Outer Tie Rod Ends - SUT800223. P LEASE CHECK BELOW AND ABOVE IN THE COMPATIBILITY TAB FOR CONFIRMATION OF FIT. $Windshield wiper arms & blades 4pc kit for 1967-69 Camaro Coupe and Firebird - Made of Stainless Steel Excellent quality reproduction package here. This package includes a set of correct, polished stainless wiper arms and wiper blades. The wiper blades are 15" long. These are correct for 1967-1969 Camaro and Firebird hardtop. This package is correct for: -1967-1969 Firebird Coupe -1967-1969 Camaro Coupe -1964-1967 Chevelle -1968-1974 Chev II Nova *We keep these in stock for immediate shipment. Place your order on a weekday before 9am EST and we'll ship the same day*. Has 3/8" line out. Includes strainer, retaining nut, and seal. Vintage parts for a car or truck are what keeps your mobile piece of history running. Common older trucks, such as Ford and Chevy pickup trucks, can be a joy to work on with these parts. How old do parts have to be to be vintage? There is no one standard for what makes a vehicle vintage. In fact, it may be different for every make and model. In general, the term simply means that there are no longer factory parts being made for it. The car or truck does not have to be considered classic to fit into this category. Any older model may qualify. The exact age is not always relevant either. The best way to tell is to find your model and make to look up the status. What is the importance of acquiring parts for a truck? There are several reasons why you should not wait to buy parts for your older truck. Here are some of the benefits of buying truck parts before they are needed. Some manufacturers only make a certain number of parts. Certain parts may be in high demand. Classic parts are harder to come by the more rare they become. Having supplies on hand decreases maintenance time when they are needed. How do you know which parts to get? There are several ways that you can find out exactly which part you need. Since there are many available, this can be overwhelming. Here are some ways that you can access this necessary knowledge. Make sure the particular part you seek matches the year and model number. Look at your factory manual. Ford made a significant number of older trucks during the 1950s through the 1970s. The company made enough trucks that there are plenty of truck parts for most Ford models. Therefore, you will find that Ford truck parts are available. What are examples of accessories that protect? Car and truck accessories can help preserve the original integrity of a classic model. Here are some examples of accessories that protect from normal wear and tear. 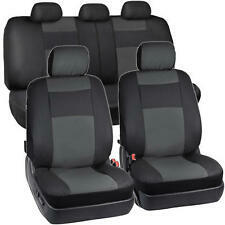 Seat covers help protect upholstery from wear and damage. 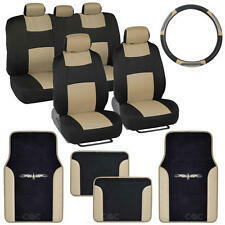 Steering wheel covers protect the wheel from sweat damage from hands. 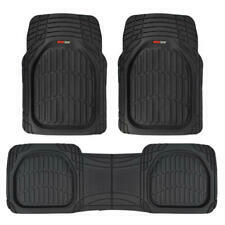 Floor mats protect from dirty shoes, winter salt damage, and sun damage. Car covers protect the entire vehicle from outside elements.